Don’t have a probe thermometer handy to judge your meat’s level of doneness? Experienced chefs often test steak doneness by feel. As meat cooks it firms up (cooking protein causes it to tighten and expel moisture), so if you’ve felt enough steaks, you can tell how cooked they are by how they spring back when pressed. Though it will take experience to be exact, here’s a quick and easy way to roughly estimate how done your steak is, using a tool you always have with you – your hand! Push down on the surface of your steak with a (clean!) finger. Hold one hand relaxed, and likewise push down on it with a finger from your other hand. 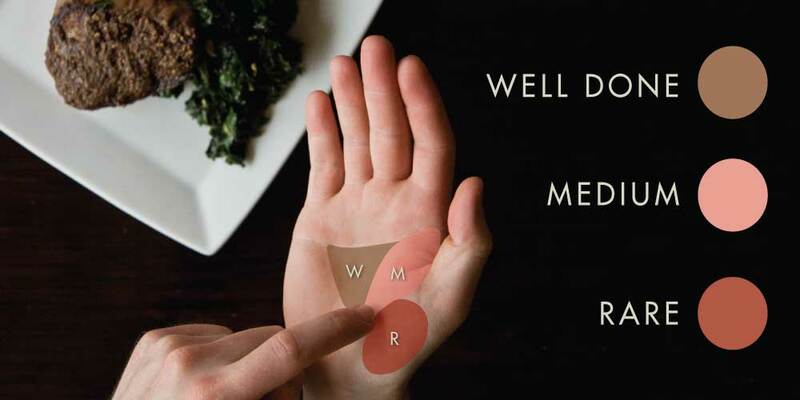 Like the area between your thumb and your palm? Like the middle of your palm? Then it’s currently Well Done. 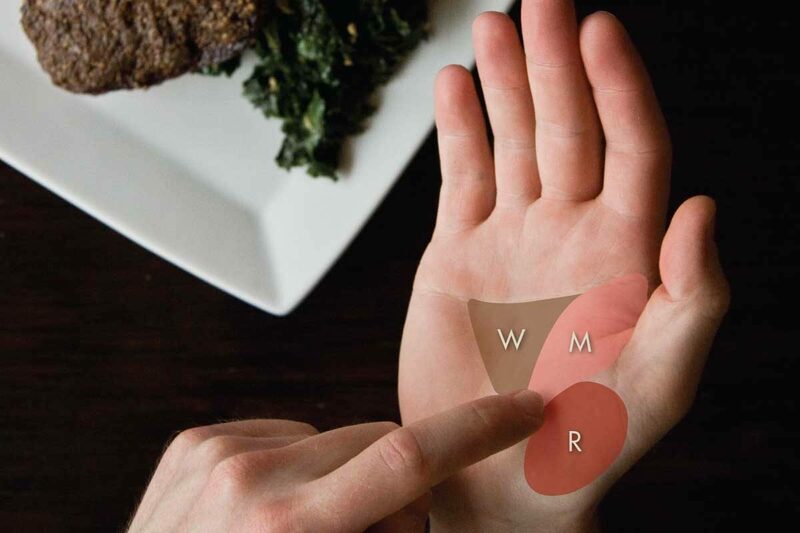 An alternate way of using touch to determine doneness of meat is to touch you chin (medium), cheek (rare) forehead (well done).